No-one likes getting into debt, and falling with payments to utility companies is particularly stressful as it means that you might lose those facilities. With gas that could be a real problem, as many people now have gas-fired central heating, and use it for cooking too. The advice to people who are falling behind with payments for anything is to keep the relevant company informed of the problems at all stages and don’t give in to the temptation to stick your head in the sand and ignore it. This will reinforce the idea that you are a responsible customer, even through you are having trouble paying your bills, and creates a history of keeping debtors informed that can be usefully shown if things get serious and you end up in court. The stages that lead up to disconnection of domestic gas will vary depending on the supplier that you are using, but will follow the same general pattern. Initially the non-payment of a bill will flag up on their systems and a red bill will follow. Then there will be a period where they will contact you to try and get the bill paid, perhaps agreeing a repayment schedule. Only when they have given up will they disconnect the gas, and in fact they will probably offer the option of a pre-payment meter rather than cut off your supply completely. However, that may not be the end of the matter. Once cut off, they will almost certainly take you to court if there isn’t sufficient evidence that you are able to pay the arrears, and this will most likely lead to a County Court Judgement against you. If you are still not able to pay then further court action may be taken to settle the debt, and all of this will severely affect your credit rating. So although there are particular rules that the gas companies have to observe before you can be cut off, it's well worth doing your best to avoid that. For the initial stage it is best to pay some of the bill, even if you can't afford to pay all of it. This shows that you are doing your best, which may help later. In addition, the rules governing the gas suppliers insist that they offer you a debt repayment plan that will help you stay connected and pay your debt off in the long run. The plan might allow you to make weekly payments rather than monthly or quarterly, which might be easier to keep to, and there is an option for fuel payments to be taken directly from state benefits before they are passed on to you. 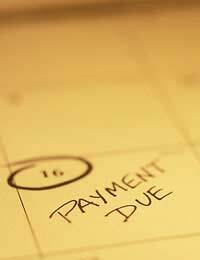 Once a payment plan has been agreed, do everything possible to keep to it. If you default on this, it may be possible to re-negotiate a longer payback plan with smaller payments, but your gas company is not obliged to do this. If your problems begin to get this serious then it is likely that you have other debts too, and you should perhaps be getting advice from non-profit groups such as the Consumer Advice Bureau (CAB). You can find their local office in the phone book, or look in the library. The most likely next step will be that the company will offer to install a pre-payment meter. These are the modern equivalent of coin-operated meters; instead of coins a card is issued which you can top up like a mobile phone card. This will at least stall being cut off and put the choice of whether to have the gas running or not in your hands, but will not help your debt problems in the long term. This is because the charges for gas through a pre-payment meter are often higher than usual, so you pay more for your gas. The other point is that for every pound that you put on the pre-payment card, only some of it will go to giving you the gas you need. Some of it, and the amount will vary in every case, will go toward paying off your debt. Cynics will also tell you that the pre-payment meters are better for the gas companies than for you because you do not end up on their statistics as a customer who has been cut off. But if you do refuse the pre-payment meter, and cannot keep to a restructured debt repayment plan, then it is inevitable that you will become one of those statistics. Make sure you are not paying more for your gas and electricity by trying a comparison on Uswitch. Empty Property: Should I Pay Supply Charge? @plonker. It depends what kind of tarif you are on. If it includes a standing charge then you will have to continue to pay it. my house is not used as i spend my time out of the uk but my supplier are charging me 60p per day standing charge i am not on a contract & not in debt . they now tell me they are going to remove my gas & elec meters can they do this ? ive had to have a pre payment meter installed as i couldnt pay my gas bill i have a child under 5 and as well as paying the debit back at £6.00 a week its costing me a lot of money in between. can i insist on having the meter taken out and put back to a normal meter and arrange some kind of re payment plan.